In My Humble Opinion: Michael Keaton should certainly walk away with the Oscar for Best Actor; if not based solely on his performance in Birdman, but for the years of work he has put into his career and the memorable roles he has given us. I know, I know, it’s not about how much work an individual has done or how many projects he/she has completed; it’s about the performance he/she is nominated for that particular year…or at least that’s what some people will theorize. Should I bring up Peter Jackson’s Best Director snubs for LOTR: Fellowship of the Ring and The Two Towers, but finally winning for The Return of the King? Or maybe George Clooney being snubbed for Best Director for Good Night and Good Luck, but the Academy not wanting him to leave empty-handed so they gave him Best Supporting Actor for Syriana, robbing Paul Giamatti, William Hurt, and Jake Gyllenhaal who I feel gave better performances. 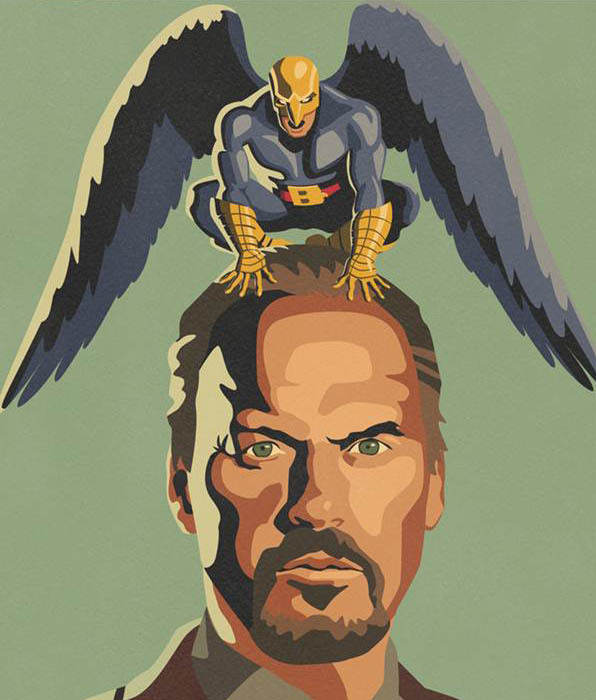 Anyway, back to Michael Keaton and his nomination for Birdman. Let’s take a look at everyone that’s nominated for Best Actor to gain some perspective. First you have good ole Beetlejuice himself Michael Keaton, who has been entertaining audiences for the last 40 years. The next actor who has a good chance of walking away with the statue is Eddie Redmayne for his role in The Theory of Everything. This young lad has been in the game for 23 years (I know, I was surprised he’s been acting that long too). Next is Benedict Cumberbatch who is nominated for his role in The Imitation Game. Benedict has been acting for about 15 years and will surely have many more nominations down the road. Bradley Cooper makes history by being one of a handful of actors receiving an Oscar nomination three years in a row, not bad for someone that’s been acting for 16 years. This year he is nominated for his role in American Sniper. Lastly we have Steve Carell…yes you read that right. The funny man who has been acting for 29 years received a nomination for his serious performance in Foxcatcher. Every actor listed above is obviously talented, and will surely continue to receive accolades and recognition for their performances in the years to come. I just feel that with Mr. Keaton’s extensive career in acting and his strong performance in Birdman that maybe he deserves a little more recognition this year, in the form of an Oscar. Maybe some of the performances by other actors listed above were better, like I said, this is my opinion. It’s always a tricky thing when you try to decide who the “frontrunner” is and who may be that dark horse that comes from behind and takes home the trophy…right Giamatti, Hurt, and Gyllenhaal? Surely we all remember when Cuba Gooding Jr. won for Jerry Maguire. He beat out Edward Norton for his role in Primal Fear which in my opinion was a gross oversight…Norton should have clearly walked away with a statue that night. Here’s hoping the powers that be will recognize an actor that’s been in the game for over half his life and has given us some memorable performances. The list could go on and on but to name a few: Beetlejuice, Jack Butler in Mr. Mom, Carter Hayes in Pacific Heights, Robert Jones in My Life, Douglass Kinney in Multiplicity, Bruce Wayne in Batman, and now Riggan Thompson in Birdman. Here’s hoping the powers that be will honor this seasoned performer and that Michael Keaton can soon add “Oscar Winner” to his list of achievements!